The Finnish brand iittala has been a staple at Didriks for many years. With numerous collections, and a variety of different tableware and glassware items to suit virtually all tastes, it’s a brand that has staying power, and an incredible amount of history. On March 8th, we will be hosting an iittala event in our store, showcasing the architect and designer Alvar Aalto, who has work featured right here in Cambridge, MA and also an impressive line of products with the iittala brand. 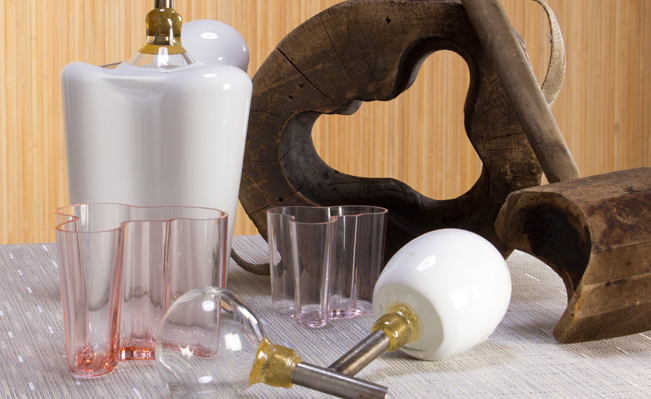 The event, “Discover iittala: Iconic Modern Designs for the Home”, will feature a variety of classic iittala designs and designers, including some special edition pieces, and the entirety of the 2013 spring collection. We'll also be giving a special gift away to our shoppers - anyone who spends over $200 on iittala items will receive a small Alvar Aalto vase for free! This event will take place from March 8-10, with a kick-off party on Friday evening, March 8, from 4:30-7:30pm in our store on Observatory Hill in Cambridge. Light refreshments will be served, and we'll have an iittala representative on-hand to help answer questions and educate you about all of their products. If you can't make it for the Friday night kick-off, we hope you'll stop in during the weekend to see the special edition pieces, and get in a bit of shopping! You can RSVP to this event here. We look forward to seeing you!